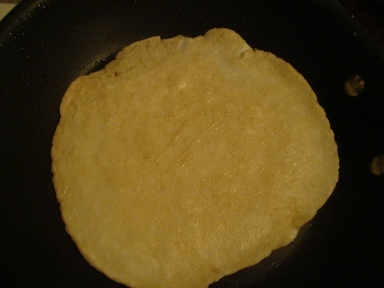 Gluten Free Tortillas--How to Make Your Own. 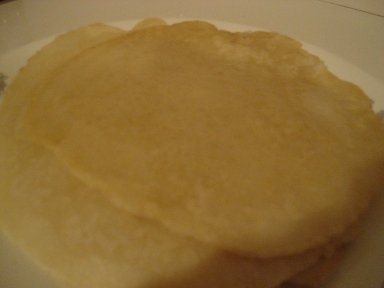 Gluten Free Tortillas--How to Make Your Own with Gluten Free Flour. In a medium bowl, place all dry ingredients and whisk to blend well. Can be done in mixer, but it is not necessary to do so. 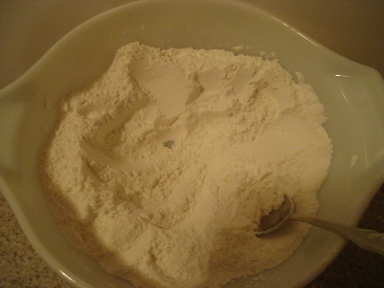 Make a well in center of flour. Add warm water and knead to mix in. Dust hands with cornstarch and dust dough before kneading until just workable, you don't want it too dry. 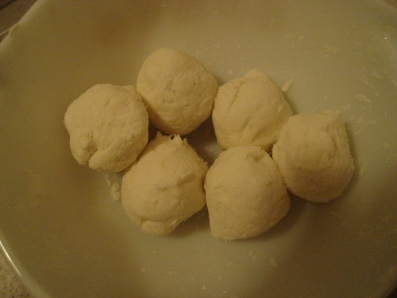 Work dough into a ball. 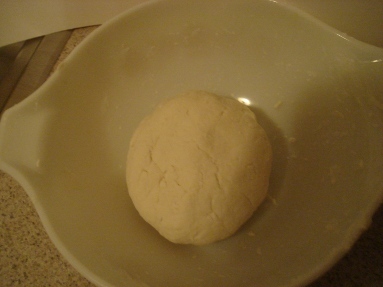 Divide the ball of dough into 6-8 equal portions, depending how many or how large you want the tortillas to be. 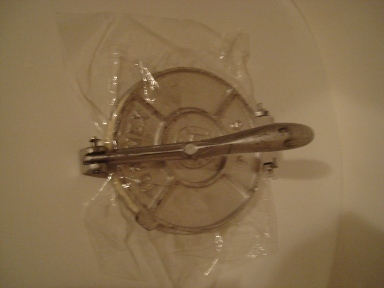 Take two pieces of clear plastic wrap and use it to cover both plates on tortilla press. Spray the cling wrap with Pam or oil lightly. Place one portion of dough between them. Position the dough off center, closer to the hinge on the press. If you have a tortilla press, lower the top plate onto the dough. Lift the handle up into the press and flatten until you see dough around the edges of the tortilla press. 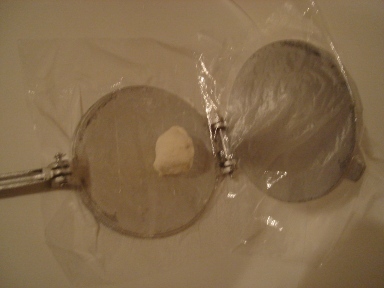 If you don't have a tortilla press you can roll the dough out(between 2 pieces of oiled or sprayed cling wrap,) or place it on flat counter and press with a heavy frying pan. Press until the ball of dough forms a 10-12 inch circle. Have a griddle or frying pan heating while you press, on medium to medium low heat. Spray with Pam or use a little oil. 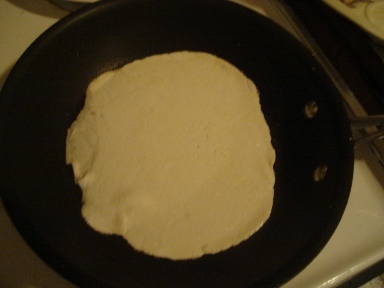 Gently peel the tortilla off of the cling wrap and lay on the hot griddle. Allow to fry Lightly about 45 seconds if wanting to make chimichangas or something that will be fried. If you are going to use it without further cooking, let it fry at least a minute per side. Flip it when lightly browned. They will keep a few days in the refrigerator, or you can freeze extras. These work well instead of bread for many things as a wrap. They are a big help for those on a gluten free diet and those with celiac disease. Enjoy your gluten free tortillas! Adapted from The Gluten Free Gourmet Cooks Fast and Healthy (Bette Hagman). Serving suggestion: Heat some refried beans and add about a Tablespoon of picante sauce to the beans. Spoon about 3 tablespoons bean mixture onto one edge of a tortilla, about 1 3/4 inches from the bottom, and 1 inch from the side, in a line about 2 inches wide. Put taco sauce on the beans. Roll the tortilla into a burrito by folding up the bottom and then rolling toward the dry end and enjoy! Or use them for soft tacos. You can find a recipe for taco meat seasoning on the Sauces, Dips and Taco Meat Page.